Prior to founding BODENHEIMER HERZBERG, Mr Herzberg held positions, inter alia, at Baker & McKenzie, the Secretariat of the ICC International Court of Arbitration in Paris (France), and the University of Basel (Switzerland). Mr Herzberg holds a Postgraduate Master of Laws, International Business Law, University of London (Queen Mary/UCL, “with merit”). 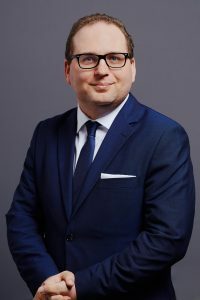 He is a graduate of the University of Freiburg (Germany), and holds diplomas in English Law and Language from the University of Passau (Germany), and in Transnational Law, from the University of Geneva (Switzerland).